Mothers day recipes and ideas for kids to cook on this special day. These recipes will have you excited and anxious for the day we pay tribute to those busy women who we love and who take such good care of us. Cooking for mom on this special day is a tradition in many homes so we've helped with the mothers day recipes and ideas. Just remember no matter what you cook up your Mom will be proud of your accomplishment and hard work. Several of these recipes can be prepared the night before, chilled in the fridge and baked the next morning. Add ingredients in the order listed to your bread machine. Turn the bread machine to the dough method. When it is done, take out and roll into a rectangle with a rolling pin. With pastry brush, brush melted butter on top of the dough. Sprinkle with brown sugar, cinnamon and raisins. Roll up jelly roll style, slice and put in a 13x9 casserole dish. Let rise for 30 minutes-1 hour and bake or put in refrigerator overnight. In the morning bake at 350 degrees for 20-25 minutes. Drizzle with cream cheese frosting. 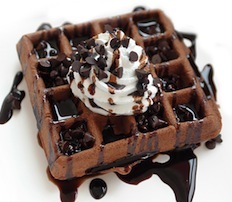 Turn on waffle iron and prepare batter while it is heating up. In mixing bowl add flour, cocoa, sugar, baking powder and salt. Stir together. Add milk, eggs, oil and vanilla an blend until smooth. Pour 3/4 Cup or less onto hot waffle iron. Serve this Mothers day recipes with sliced strawberries and whip cream or sliced peaches. In 13x9 greased dish, place bread to cover bottom of pan. In a bowl, beat together eggs and milk Stir in cheese. Pour eggs over bread. Sprinkle top with ham, bacon or sausage which ever you are using. Cover with plastic wrap and store in the refrigerator overnight. Adult should bake 350 degrees for 40-50 minutes until knife inserted in middle comes out clean. Celebrate mom's special day with these Mothers day recipes and a tea party. 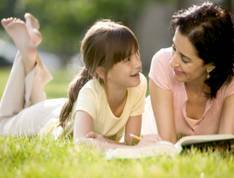 Even if your mom doesn't drink tea she will love the idea of eating and sharing a drink with her family. Make a Mother's day place mat to add to the party. Use a sheet of construction paper and decorate it, write a letter to your mom, or write her a poem. Cover with clear contact paper and it will be something she can cherish in years to come. 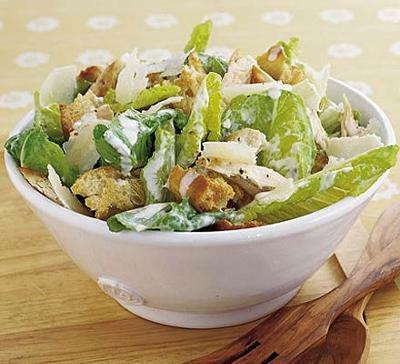 You can prepare this salad quickly with a rotisserie chicken and serve on small beautiful bowls or plates. Add the lettuce to a salad bowl. Shred chicken and add about 2-3 cups of chicken with the lettuce. Top with cheese and croutons. Add salad dressing right before eating or serve on the side in a pretty bowl. Prepare a tuna egg salad sandwich by adding a small amount of mayonnaise to one can of drained tuna and 2-3 chopped hard boiled eggs. You can add chopped celery or pickles also. Serve in pita bread and add a small amount of shredded lettuce. 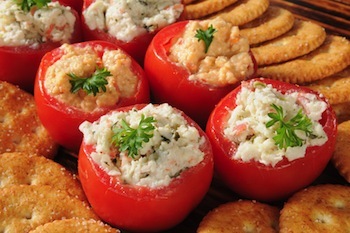 Another idea with tuna fish but you can substitute a crab mixture or chicken salad if desired. Make tuna salad. Cut stem off tomato. Scoop out pulp, leaving a ½ inch shell. Spoon tuna mixture into tomato shells. Place on a baking sheet and broil 3-4 in from the heat for 4-5 minutes until heated through. Brown meat in oil. 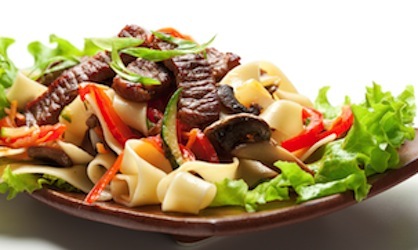 In serving bowl, combine meat, pasta and salad dressing. Let marinade l5 minutes. Add tomatoes, cheese and olives. Serve with grated Parmesan cheese, if desired. 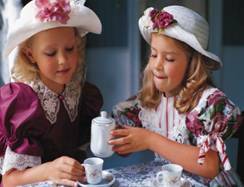 Here are more tea party ideas. Here are 7 great cooking gifts for Mom. Mix Jell-o and boiling water in a medium bowl. Stir until dissolved. Pour into a pitcher and add apple juice. Stir well. Serve warm. Add fruit punch, lemonade concentrate and white grape juice in a large pitcher. Stir together. Add lemon slices to each glass. Create your own at home spa complete with facial masks and foot scrubs! Melt butter and chocolate in microwave. Pour into mixing bowl and add remaining ingredients. Grease 13x9 pan and pour mixture into pan. Bake at 350 degrees for 30 minutes until toothpick inserted comes out clean. Some simple Mothers day recipes that are sure to please. In a tall glass alternate pudding with strawberry slices or other fruit slices. Top with whipped cream. Cut brownies into bite size pieces and add to bottom of glass. 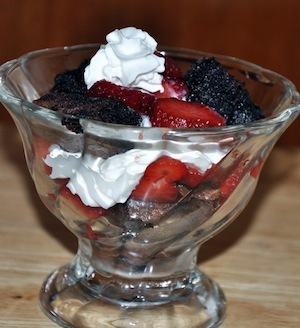 Alternate fruit slices, brownie pieces and top with chocolate syrup or whip cream. Top your parfait with crushed cookies, chopped nuts, crushed graham crackers or dry cereal. Wishing you a Happy Mother's Day with these mothers day recipes. 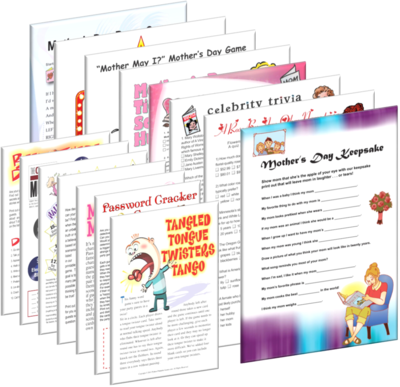 Play some printable fun games with your Mom! What is your Mother's Favorite recipe?